When you talk about animation studios in Japan, there’s likely no other with the international recognition of Studio GHIBLI. Founded by creators Hayao Miyazaki and Isao Takahata, Ghibli was an attempt on the part of the longtime friends and collaborators to create an entirely new and distinct animation studio in an area of film largely dying in Japan. At the time of Ghibli’s founding, Japanese animation studios largely adapted preexisting works (generally for television) with a guaranteed audience of people who already knew the work. Ghibli, on the other hand, wanted to create original work which was considered a significant gamble at the time (as such a concept led to the death or evolution of other more established and well-known studios in the country). The creation of Ghibli also relied heavily on the support of Yasuyoshi Tokuma, whose publishing company Tokuma Shoten was the parent company to Ghibli. But before we get into the origins of Ghibli, we need to look at that of its founders. We begin with Isao Takahata. When you bring up Studio Ghibli, the first name many will address is Hayao Miyazaki. And while certainly Miyazaki deserves all the praise he receives, Ghibli grew from a collaboration with his friend Isao Takahata. Graduating with a degree in French Literature from Tokyo University, the most prestigious school in Japan, Takahata was an acquisition of Toei Doga (or Toei Studio), a company relatively new to the animation scene (with little over a decade in operation), who sought an assistant director. 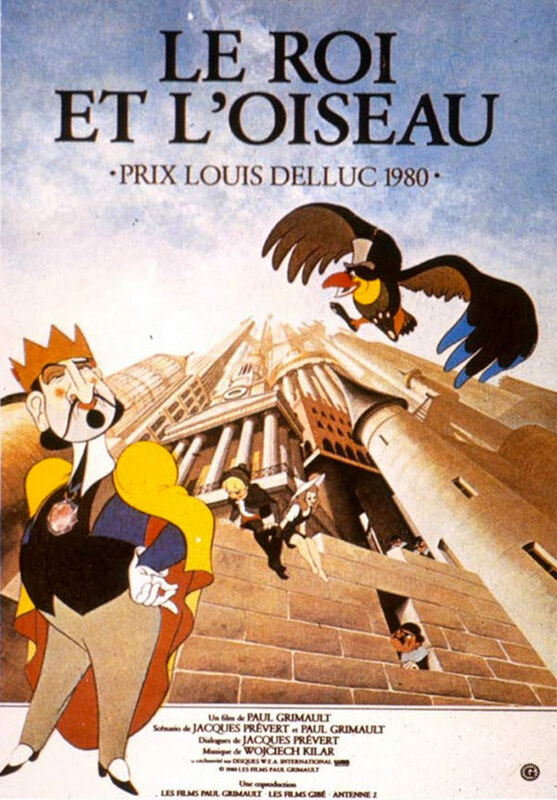 Inspired by the French animated film Le Roi et l’oiseau, loosely based on Hans Christian Andersen’s “The Shepherdess and the Chimney Sweep,” Takahata took the position in hopes of seeing his own work became a reality. Unfortunately, Takahata faced significant competition with a dozen or so other employees at his level vying for similar dreams. Despite this, within a decade of joining the company, he would manage to make his directorial debut. Hols: Prince of the Sun (aka Little Norse Prince Valiant and The Little Norse Prince) told the story of Hols, a young man who obtains the Sword of the Sun and uses it to destroy the evil sorcerer Grunwald. However, the movie had a significant amount of subtext. 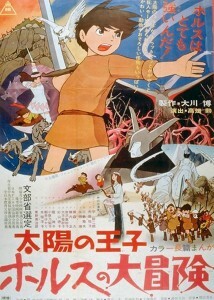 Made during a labor dispute between Toei and its animators, Hols: Prince of the Sun almost exclusively employed the youngest members of the staff (including one Hayao Miyazaki). It was decided the movie would be made almost entirely from a collaboration between the young staff with the goal of making something that wasn’t like the usual kids fair Toei produced. Further, the film was meant to have a strong message about unity and the idealism of youth (paralleling the struggle Takahata’s staff faced). In all, the project took three years to create (significantly longer than the eight months slated for it). However, for reasons never made apparent, when the film premiered Toei only ran it in theaters for ten days. 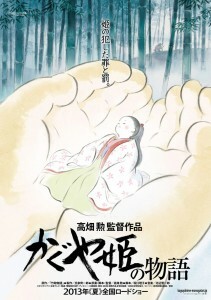 Despite critical acclaim, the film was dubbed a failure and Takahata was demoted within the company. Within a few years after the events surrounding Hols, Takahata would leave Toei with Hayao Miyazaki to work on projects elsewhere. Osamu Tezuka, referred as the God or Godfather of Manga, was an inspiration to many. One such youth inspired by his work was young Hayao Miyazaki. Emulating Tezuka’s style, Miyazaki spent his time refining his artistic craft drawing in his idol’s style until he realized it was wrong to steal his form (leading to him destroying many of his early sketches). Set to capture his own style, Miyazaki would be inspired toward animation by the film The Tale of the White Serpent. 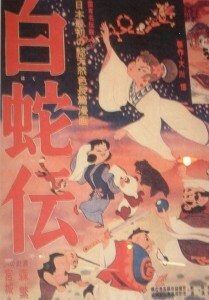 The first anime feature film in color, White Serpent was based on a Chinese folktale of the same name. Produced by Toei, the film was meant to establish the animation studio as some Eastern version of Disney with a global appeal. Unfortunately, the film failed to catch on with foreign audiences (especially in America) as the company had hoped. Miyazaki would attend and graduate from Gakushuin University (with a degree in Political Science and Economics) before landing a job at Toei as an in-between artist. However, soon after joining the company, Miyazaki would spearhead a labor dispute with Toei resulting in the staff forming a union. It was during this time Miyazaki met and befriended Isao Takahata. Miyazaki would head up the union as Takahata became vice-chair. Hayao Miyazaki would quickly become a rising star at Toei. 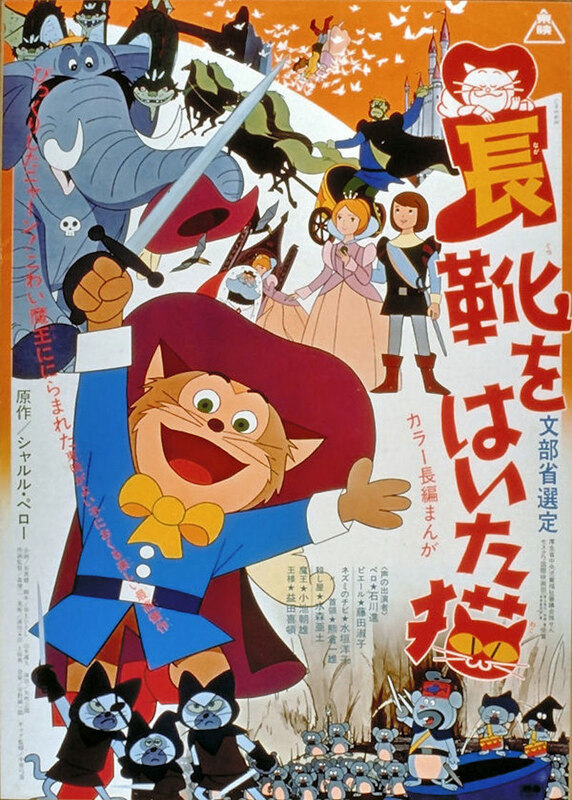 Gulliver’s Travels Beyond the Moon was an animated film Toei attempted to again enter the world stage as an Eastern Disney by departing from Asian concepts to be a formulaic musical piece. Yet again, the attempt failed to garner international appeal. Miyazaki felt he had a better ending in mind for the film and pitched it to his superiors leading to its change. Miyazaki would earn a place as chief animator, concept artist, and scene designer on Hols: Prince of the Sun to aforementioned results. However, Miyazaki seemingly was not seen as responsible for the failure of Hols and went on the following year to have a significant role in Kimio Yabuki’s Puss in Boots. 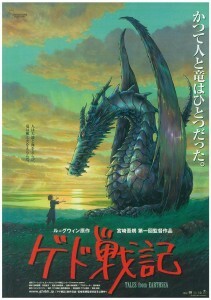 The film would lead to Miyazaki’s first manga work as he produced an adaptation for the movie in the newspaper Chuunichi Shimbun Nichiyou Ban. 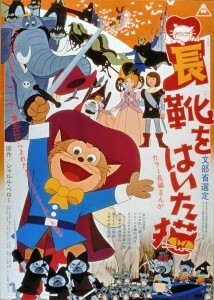 The popularity of Puss would inspire the character to become Toei’s mascot. Over the next few years, Miyazaki would contribute to other works like Flying Phantom Ship, Animal Treasure Island, and Ali Baba and the Forty Thieves before leaving Toei with Isao Takahata. Isao Takahata and Hayao Miyazaki would work on various projects at various studios together like Lupin III, Panda! Go, Panda!, Heidi, Girl of the Alps, 3000 Leagues in Search of Mother, Future Boy Conan, and Anne of Green Gables (the pair were slated to adapt the Pippi Longstocking series but the deal fell through just before production and they also originally helmed Little Nemo: Adventures in Slumberland). Miyazaki would get a big break with the feature film The Castle of Cagliostro for Tokyo Movie Shinsha (TMS Entertainment). Adapting Monkey Punch’s famous character Arsène Lupin III for his second film, Miyazaki co-wrote and directed the piece taking Lupin to the country of Cagliostro where he investigates high quality counterfeit currency. Once there, he decides to kidnap the princess of Cagliostro, Clarisse (imprisoned and betrothed to Count Cagliostro). 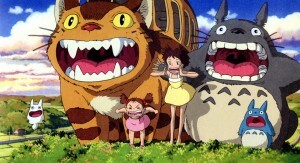 The film would be a success and helped make Miyazaki a major player in the world of animation. Some years after his time with Lupin III, the creator would start to see his star shine with Nausicaä of the Valley of the Wind. Tokuma Shoten is a Japanese publisher that was established in 1954 and became a significant entity in the country in the decades since. In 1982, Hayao Miyazaki would begin to produce his work Nausicaä of the Valley of the Wind for their magazine Animage (a relatively new product, premiering in 1978). Experiencing some success, it was decided to adapt the work into a feature film (under the condition by Miyazaki that Isao Takahata produce it). The film would be critically acclaimed, greatly increasing circulation of Animage. 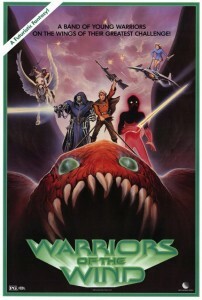 Further, the film was released theatrically in America as the heavily edited Warriors of the Wind. 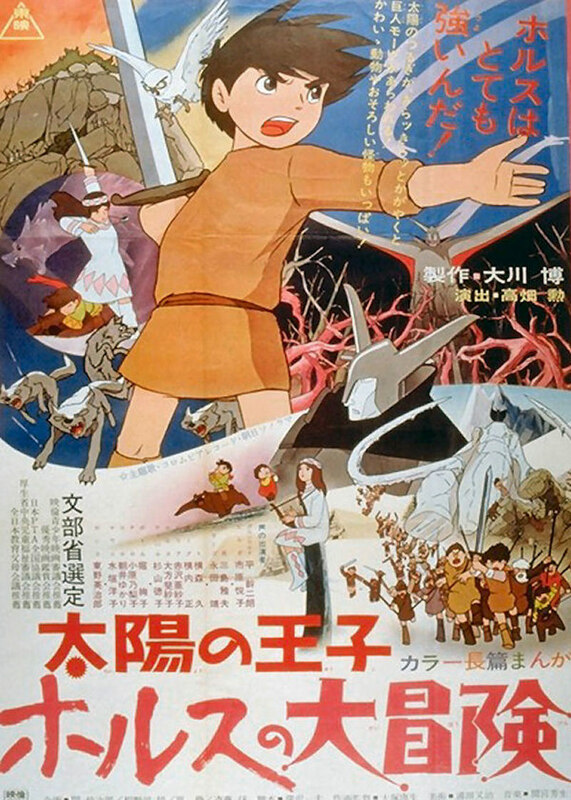 The studio Topcraft would animate the film, its work best known in America for various Rankin/Bass productions like the action series ThunderCats, Christmas works like Twas the Night Before Christmas and Frosty’s Winter Wonderland, and Fantasy films The Hobbit, The Return of the King, and The Last Unicorn (stop motion animation was handled by Japanese animator Tadahito Mochinaga). However, Topcraft would go bankrupt in 1985. Miyazaki and Takahata talked Yasuyoshi Tokuma, the head and founder of Tokuma Shoten, to acquire the studio making them its leaders. Obsessed with flight since a young man, Hayao Miyazaki would work the concept into many of his pieces. With Studio Ghibli, the company was named after an Arabic word used by Italian pilots during World War II to describe their scouting airplanes. 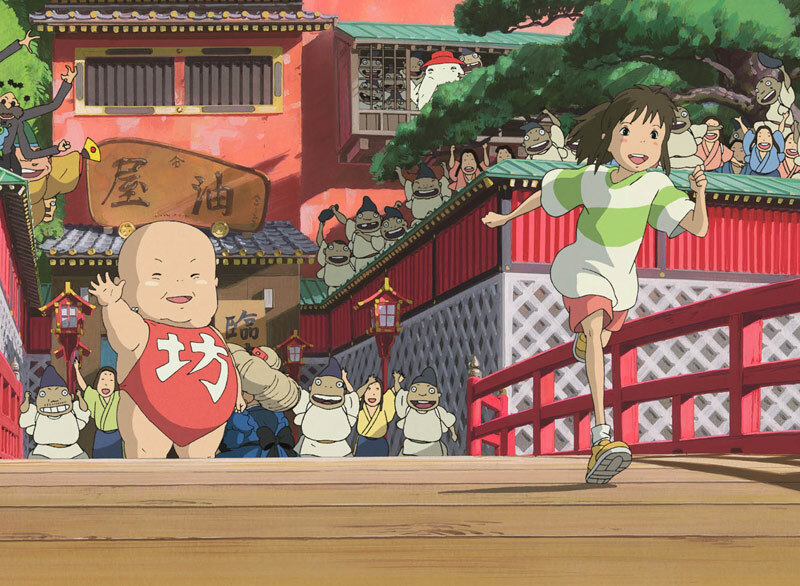 Describing a hot wind, Ghibli was intended as a wind blowing into the world of animation. However, no one involved felt the company stood the chance of surviving long. From this, they would focus on one project at a time, where should it perform well, they would produce more (otherwise, close up shop). The studio wouldn’t employ any full time staff, just a relatively small crew of animators as temporary workers that would be dismissed at a film’s completion and letting the public decide if they’re to return. The first work for Ghibli would be Laputa: Castle in the Sky in 1986. The story tells of a pair of orphans who cross paths where one of them holds the secret to Laputa, a legendary castle in the sky using ancient technology mankind has since forgot how to use or create. Various forces seek the castle and its secrets leading the pair to band together to evade them and discover Laputa for themselves. 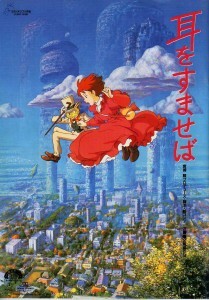 While not as successful as Nausicaä, it was also critically acclaimed and allowed Ghibli to get to work on their next two films. Studio Ghibli would produce two films at once in Grave of the Fireflies and My Neighbor Totoro for 1988. The former was based on a semi-autobiographical novel of the same name by Akiyuki Nosaka of his experiences around the firebombing of Kobe in 1945. 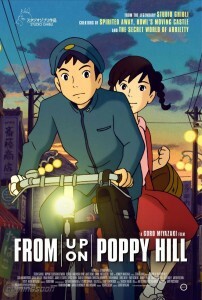 The film features the tragic story of a brother and sister orphaned from World War II and the struggles they endure before their deaths due to fallout from the devastation done to Japan. The film was met with great acclaim, striking a chord with Japanese audiences who were forced to endure the blight caused by Japan’s bid for power where the people suffered most in the folly. Though, it would also draw criticism as being believed anti-war propaganda. Isao Takahata, who directed the film, met with this criticism stating it had no intended message, simply to tell the story of two children who lived during a time of war. Another strike against the film was that it was marketed as a kid’s film only for many parents to walk out of the movie with their children due to its content. The same day Grave premiered in Japan, so would its fellow Ghibli film My Neighbor Totoro. A significantly more lighthearted story, My Neighbor Totoro told of two sisters who move with their father to live near the hospital their sick mother is being treated. Therein, they befriend a magical creature the youngest sister dubs Totoro and go on adventures together. 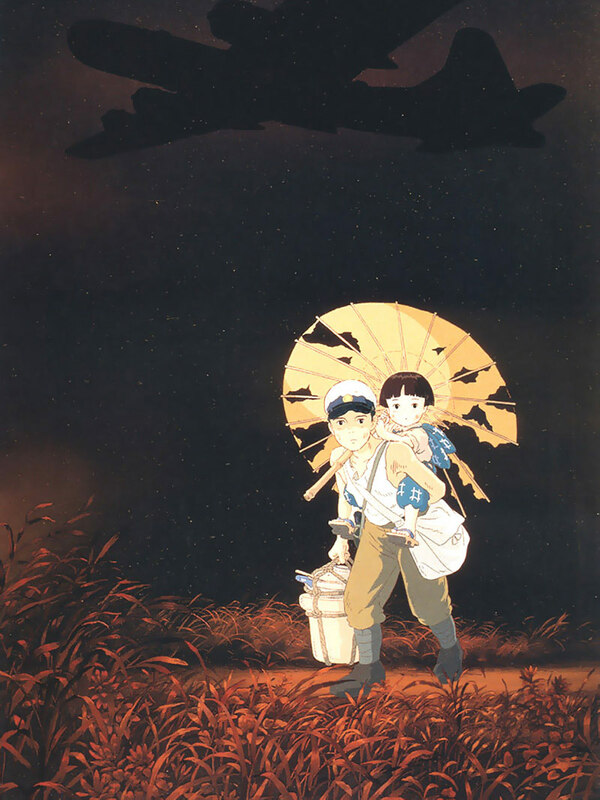 The movie was released alongside Grave of the Fireflies as a double bill, a truly moving emotional journey between the tragedy of Grave and the joy of Totoro. Producing two films at once took a great toll on Ghibli. However, those involved feared that the films wouldn’t be brought into reality unless they were made concurrently. To make matters worse, when the films were done, distributors felt they were not as bold as Nausicaä and Laputa and didn’t want to take them on. It was Yasuyoshi Tokuma who personally went to distributors and made the case for the films that eventually got them into theaters. Unfortunately, the movies came after the summer season and were hurt by not premiering when the cinema was busiest. Still, the films were both critically acclaimed and Ghibli became a widely known entity in the Japanese film industry. In addition, two years after the release of the films, Totoro was licensed for products like stuffed animals and became a huge hit (covering any cost lost and then some). The success of Totoro’s image inspired the decision to make him the official mascot of the studio. Another significant advent would arrive for Ghibli in 1988. Tokuma Shoten would negotiate to bring Ghibli films to America in 1988. 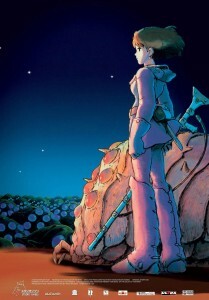 Viz Communications would translate and publish the manga of Nausicaä of the Valley of the Wind in English. 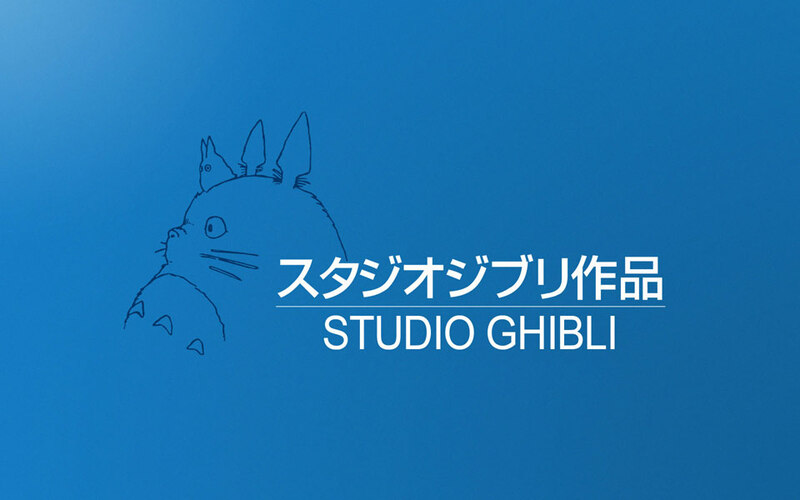 Streamline Pictures, co-founded by Carl Macek of Robotech fame, would be contracted to release the Ghibli films in America starting with My Neighbor Totoro and followed by Laputa: Castle in the Sky, Kiki’s Delivery Service, and even Miyazaki’s The Castle of Cagliostro. Ghibli was careful to make sure their work went unedited in America following the Warriors of the Wind fiasco. It has always been Miyazaki’s stance that his films are made for Japanese by Japanese and will not cater to the foreign market. Further, while Ghibli’s films may have cute animals, it will never be a goal of the studio to market a product with their films. First and foremost, Ghibli was built on telling the highest quality stories with the highest quality animation. Ghibli’s next film would not only be critically appraised, but would start a trend of also being commercially successful. Alluded to in the last paragraph, Ghibli’s next project would be Kiki’s Delivery Service (based on the novel of the same name by Eiko Kadono). 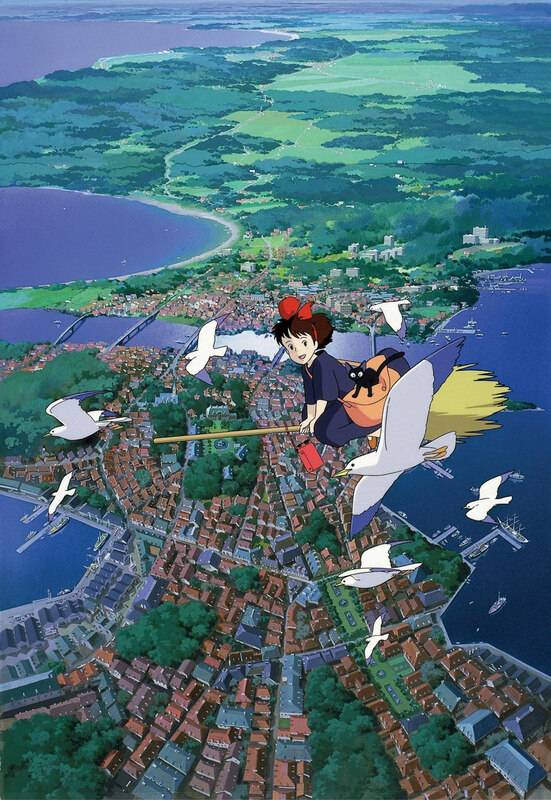 Telling the story of a young witch who moves to the big city and uses her ability to fly on a broomstick to begin a delivery service, the film was a huge hit for the studio, becoming the number one film of the year in Japan (animated or otherwise). 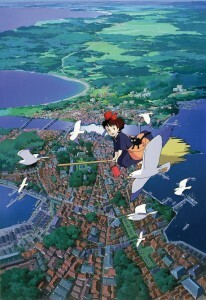 During production of Kiki, the staff at Ghibli were heavily under paid, making roughly half the average salary in the country. The animation industry in Japan was declining as many American companies began shifting work to other Asian countries that were cheaper. The success of Kiki helped lead to big changes at Ghibli. Most notable, the studio would offer job security with hiring full time positions with set income (rather than based on how many pages are drawn or painted by an individual which was common practice). Further, the staff would be expanded (with annual recruitment) and training would be promoted. The staff at Ghibli quickly went to work on their next film Only Yesterday. 1991 would bring Only Yesterday, based on the manga of the same name by Hotaru Okamoto and Yuko Tone, about 27-year old bachelorette Taeko who takes a trip to the country and reminiscences about her childhood which makes her examine the person she is in the present. The film would be a surprise hit despite its subject matter as a realistic drama featuring a female character in animated form. Also the number one film in Japan for its year, Ghibli proved itself in the market (and to itself) leading to the pursuit of actively advertising for its films to offset the increased cost of production (the salaries of its employees doubling since its last film). While Only Yesterday was still being finished, Ghibli would move ahead on its next film again prominently featuring flight (a project Hayao Miyazaki began work on personally by himself) as the studio also planned a massive expansion. 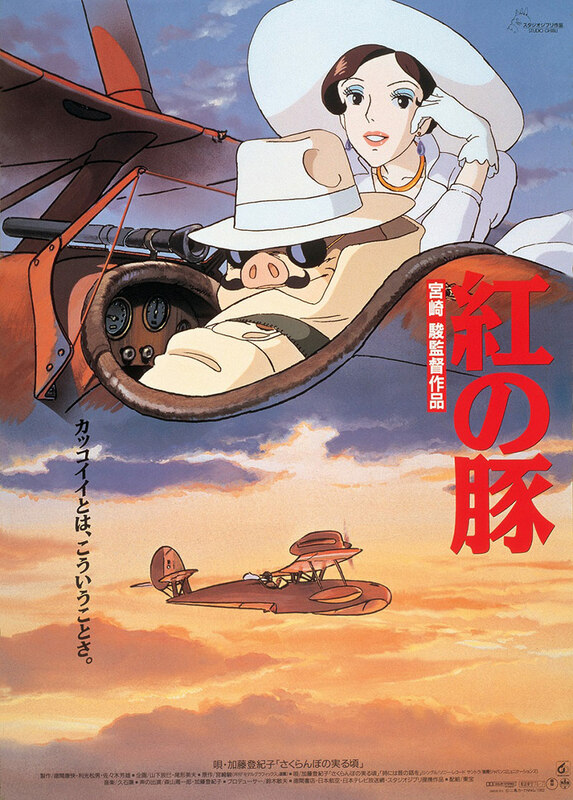 An Italian World War I pilot cursed in the form of a pig, Porco Rosso is an adaptation of Hayao Miyazaki’s manga Hikoutei Jidai and would be yet another hit for Ghibli, the number one film in Japan for 1992. If Miyazaki wasn’t busy enough with working on this latest film, he made himself busier planning a move of the Studio Ghibli offices to another location. Miyazaki personally drew the blueprints for a new facility that materialized in a three story building in Koganei, Tokyo. As Porco Rosso was hitting theaters, Ghibli was moving into their new space that yet again bucked animation trends in Japan. Spreading various departments between various locations was the norm in animation while Ghibli put most of its work under one roof. The first floor was a conference/cafeteria space, the second for drawing and production, and third for finishing art. Attributed to Miyazaki’s observance as a feminist, he made the women’s bathroom twice the size of the men’s room (despite Ghibli employing roughly the same ratio of women to men). The following year, Ghibli would expand even further. Studio Ghibli would start to go high tech in 1993, investing in computerized cameras, photography, and CGI (computer generated images). The company’s first television special would materialize in The Ocean Waves. As for film, Ghibli’s next hit would be Pom Poko (again, the number one film of the year). In this movie, tanuki (magical Japanese raccoon dogs) are being uprooted from their homes by mankind who destroy their habitat to make room for housing. Survivors band together to try and stop the expansion of humanity into their realm and for the survival of their species. Just as flight and strong female protagonists are a theme with Ghibli productions, so too is the environment and the impact mankind’s growth is having on the globe. 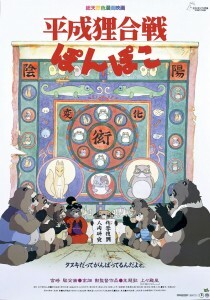 Pom Poko would be the first instance of CGI incorporated into a film from the studio for several sequences. 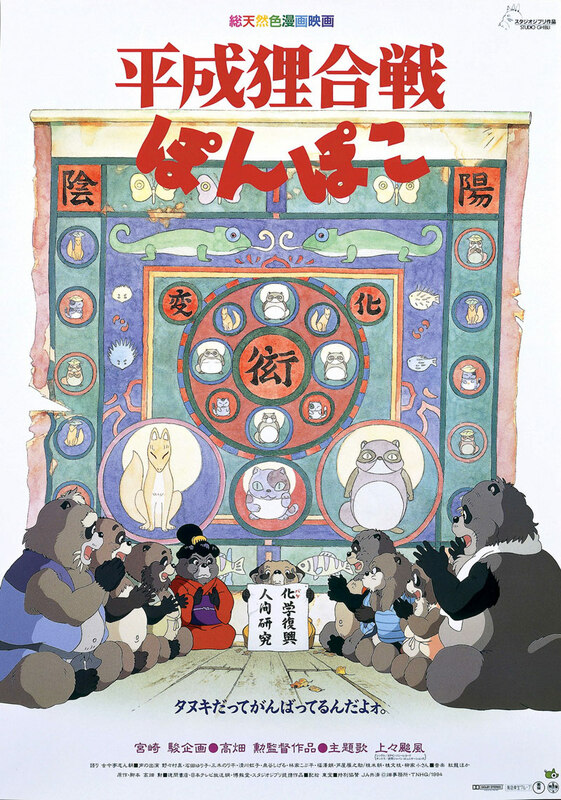 While Ghibli films were making their way to America (My Neighbor Totoro would be licensed for release by Fox), Pom Poko would have the distinction of being its first film nominated for the Academy Awards for Best Foreign Film (but failed to qualify for the top five nominated). Ghibli’s next film would depart from the past to make way for the company’s future. 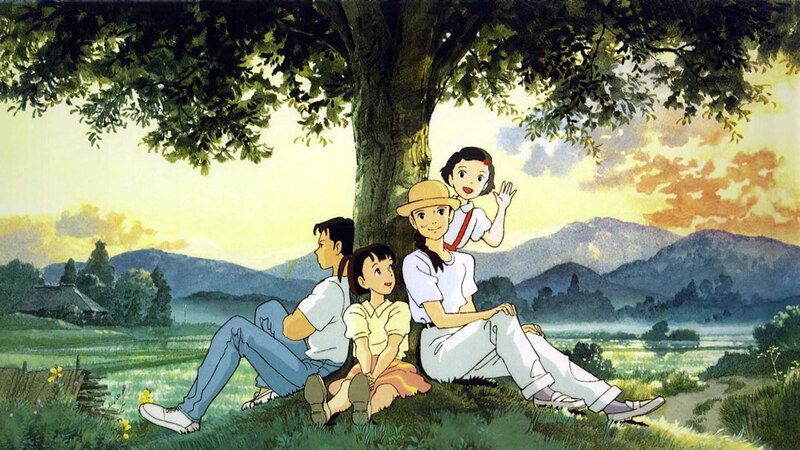 Up until 1995, all of Ghibli’s theatrical films were either directed by Hayao Miyazaki or Isao Takahata (The Ocean Waves a television film directed by Tomomi Mochizuki featuring much of Ghibli’s young staff, reminiscent of Hols: Prince of the Sun). The studio would finally let in the next generation by allowing another staff member to helm their next project (someone believed to have been Miyazaki and Takahata’s heir to Ghibli). Yoshifumi Kondou was an animator who had a pedigree almost as extensive as Ghibli’s founding fathers, mentored by mangaka Kimio Yanagisawa, a graduate of Tokyo Design College’s animation department, and having worked with Ghibli’s founders in their post-Toei work before joining Studio Ghibli. Kondou worked on projects like Lupin III, Panda! Go, Panda!, Future Boy Conan, Anne of Green Gables, Little Nemo: Adventures in Slumberland, and Sherlock Hound, often in key animation and/or as animation director which involved Miyazaki and/or Takahata. At Ghibli, he worked as animation director on Grave of the Fireflies, Kiki’s Delivery Service, and Only Yesterday (with key animation on Porco Rosso and Pom Poko). For Whisper of the Heart, Kondou would sit in the director’s chair. For this tale based on the manga of the same name by Aoi Hiiragi, 14-year old Shizuku Tsukishima befriends a young man named Seiji Amasawa she shares many interests with who has a passion for making violins. Shizuku begins to fantasize about adventures with a cat named Baron Humbert von Gikkingen, a statue in the antique shop of Seiji’s grandfather. The young girl dreams of being a writer and when Seiji goes far away to study violin-making, she works on a manuscript based on the Baron. 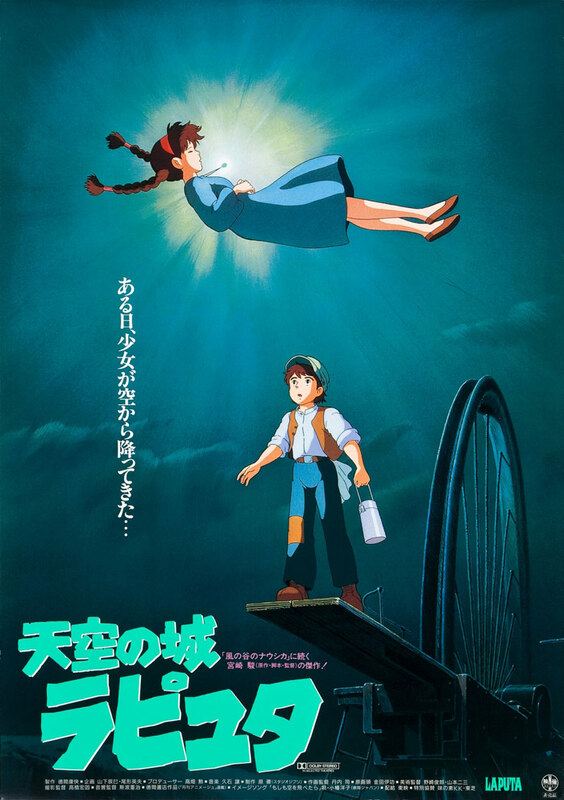 Yet again, Whisper of the Heart would become the number one film in Japan that year. Ghibli’s next film would be another step towards the future and the studio’s big break in the global market. Following hit after hit, Studio Ghibli only continued to grow. Co-founder Isao Takahata would become the master of a new school for Ghibli called the East Koganei Village School of Animation. Ghibli itself would expand its CGI capabilities by hiring a CG director from Nippon Television Network who worked on Pom Poko to head up a new production team for computer graphics. This new division was put into effect with Ghibli’s next film in Princess Mononoke. Telling the story of San, a girl raised by wolves with a hatred for humans, and Ashitaka, prince of the Emishi tribe cursed by a demon that attacked his village, the central plot has Ashitaka seeking a cure for his affliction while stumbling into a war between nature and mankind when the latter encroach into the animal kingdom (destroying natural resources to produce iron). The film was a juggernaut at the box office, number one for the year, and made its way to America via Miramax Films. An infamous incident with the transition was Miramax demanding to edit the material to cater to the American audience leading to producer Toshio Suzuki sending Miramax’s chairman Harvey Weinstein a katana with a note attached reading “No cuts.” The film premiered in American theaters with little advertising and didn’t perform well but was the top selling anime that year for home media. The movie would be the first animated film to win for Best Picture in the Japan Academy Prize and was submitted for the Academy Award for Best Foreign Language Film (again not making the final list of nominees). 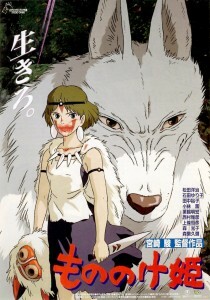 Sadly, Princess Mononoke would be Yoshifumi Kondou’s last film. Acting as animation director, he suffered an aneurism said to be brought on by excessive work and passed away. The death deeply affected Hayao Miyazaki, believed to be a reason he tried to retire shortly afterward (though he spoke of retiring earlier, leaving directing to the likes of Kondou) only to return with a reduced workload. After the success of Princess Mononoke, Tokuma Shoten successfully negotiated a deal with Disney to internationally distribute Ghibli films outside of Japan. Ghibli itself would go completely digital with its next release in My Neighbors the Yamadas. A comedy in the comic strip style, the film is based on the manga Nono-chan by Hisaichi Ishii and is made up of vignettes of the Yamada family. The film would be Ghibli’s first stumble at box office in Japan, receiving decent reviews but not achieving the notoriety or financial success of previous films. The next Ghibli film, Spirited Away, would return the studio again to prominence. For the film, 10-year old Chihiro Ogino’s parents are turned into pigs and she must work as a slave until she can find a way to turn them back and gain their freedom. In this, she is helped by the river god Haku. Spirited Away would become the highest grossing film in Japanese history at that point (still the highest grossing anime film of all time) and the first film to earn $200 million internationally before premiering in the United States. The work would earn the Japan Academy Prize for Best Film and the Academy Award for Best Animated Feature. Hayao Miyazaki (who temporarily came out of retirement to direct the piece), however, refused to accept the Academy Award as part of a silent protest of America’s invasion of Iraq (the creator refusing to even set foot in the country for several years following). The same year the world was given Spirited Away, construction would finish on the Ghibli Museum in Inokashira Park in Mitaka designed by Miyazaki himself (the design akin to a maze influenced by European architecture). Sadly, before Spirited Away would premier, Yasuyoshi Tokuma would pass away. Tokuma Shoten faced various issues from the loss of their leader, selling off many of its subsidiary companies. Studio Ghibli would break away from the publisher and form its own entity. Spirited Away would be the last production of a Ghibli film under that company. Ghibli’s next film would be a spin-off of sorts. 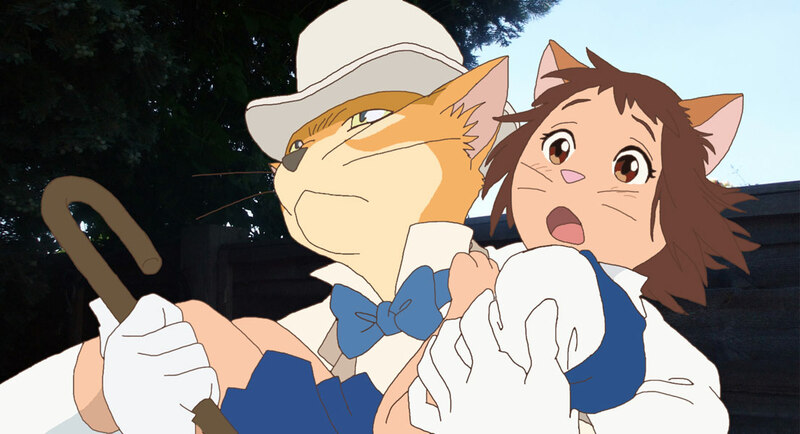 Directed by Hiroyuki Morita and featuring Baron Humbert von Gikkingen of Whisper of the Heart, The Cat Returns featured a girl who saved the life of a cat and becomes part of the secret world of cats. As such, the girl begins transforming against her will into a cat and must seek the aid of the Baron before the change becomes complete. The film started out as a short film Ghibli was commissioned to make for a theme park. Hayao Miyazaki decided to employ characters from Whisper of the Heart as the original manga’s creator Aoi Hiiragi was commissioned to produce a comic for the project (entitled Baron: The Cat Returns). The theme park would cancel the project but Miyazaki decided to keep what was done already and have animator Hiroyuki Morita (of My Neighbors the Yamadas) direct a film in order to test his abilities. 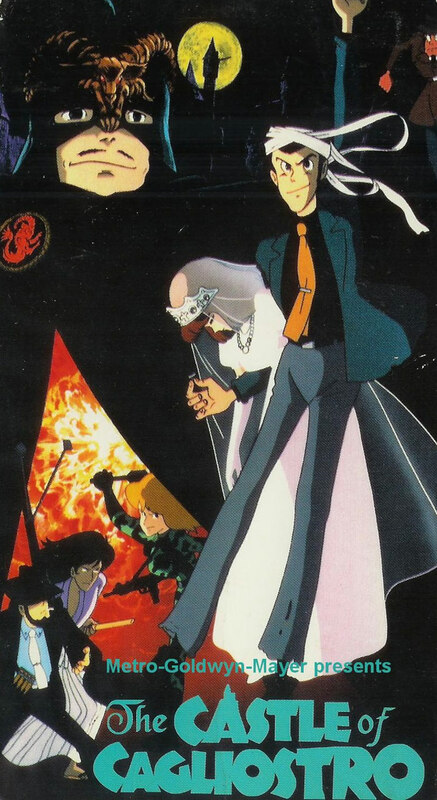 Morita spent nine months storyboarding the project from the manga that was produced before showing it to Miyazaki and Toshio Suzuki who decided to have it made into a feature film. The movie would have moderate success at box office, no where near the success of Ghibli’s previous project. Their next film, however, would again return them to prominence. Diana Wynne Jones’ novel Howl’s Moving Castle was adapted into a feature film by Studio Ghibli in 2004. Originally, Mamoru Hosoda (Digimon) of Toei Animation was slated to direct the film but when he was unable to meet the expectations of studio heads at Ghibli, he would abandon the project. The work would be in limbo until Hayao Miyazaki decided to come out of retirement and direct the piece himself. In the film, a witch curses young girl Sophie turning her into an old woman. Seeking to be free of this curse, Sophie befriends the wizard Howl becoming a worker for his moving castle. Meanwhile, the wizard interferes with a war that the King of the aggressor country tried to force Howl to fight on his nation’s behalf. 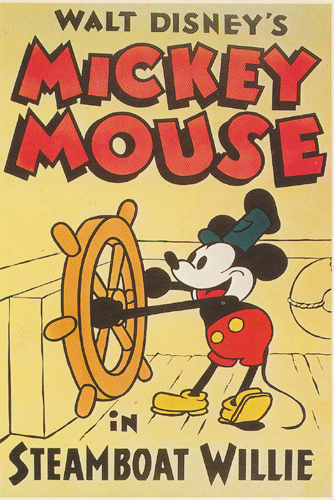 The work would become one of the most financially successful films in Japanese history and was nominated for the Academy Award for Best Animated Feature. Miyazaki, still protesting America’s invasion of Iraq, refused to attend the award event. In fact, its been said the depiction of war in Howl’s was a direct influence from America’s invasion of Iraq. Ghibli’s next project would see Miyazaki’s son take the director’s seat. Early in Ghibli’s founding, Hayao Miyazaki sought to adapt Ursula K. Le Guin’s Earthsea series of which he was a great fan. However, Le Guin was unsatisfied with Disney’s animated films and associated all animation with that product and thus, unfamiliar with Studio Ghibli, turned the company down. Some years later, Le Guin would watch My Neighbor Totoro and instantly became a fan of Miyazaki, seeking out the rest of his work. Le Guin would speak with an acquittance of Miyazaki by chance and passed along an interest in the director to adapt her work. The author would meet with Miyazaki but was saddened to learn of his desire to retire from directing. Toshio Suzuki, a longtime producer for Ghibli (who was an editor at Tokuma Shoten before transitioning to the studio), had become president of Ghibli around this time and accompanied Miyazaki to the meeting. Suzuki would suggest the animator’s son Goro to direct. While Le Guin was hesitant, she agreed. Hayao, on the other hand, didn’t agree with Suzuki’s decision. Hayao felt Goro wasn’t ready to be a director and had no desire to see a dynasty of animators arise from his family name (so far as refusing to speak to his son during the film’s development and production). Goro himself was reluctant to follow his father’s footsteps, going to school and working as a landscaper before conceding to the family business. Still, Goro adapted elements from the books A Wizard of Earthsea, The Tombs of Atuan, The Farthest Shore, and Tehanu to form the film Tales from Earthsea in 2006. The film would be a hit, becoming the top movie when it premiered and the fourth highest grossing film of that year in Japan. 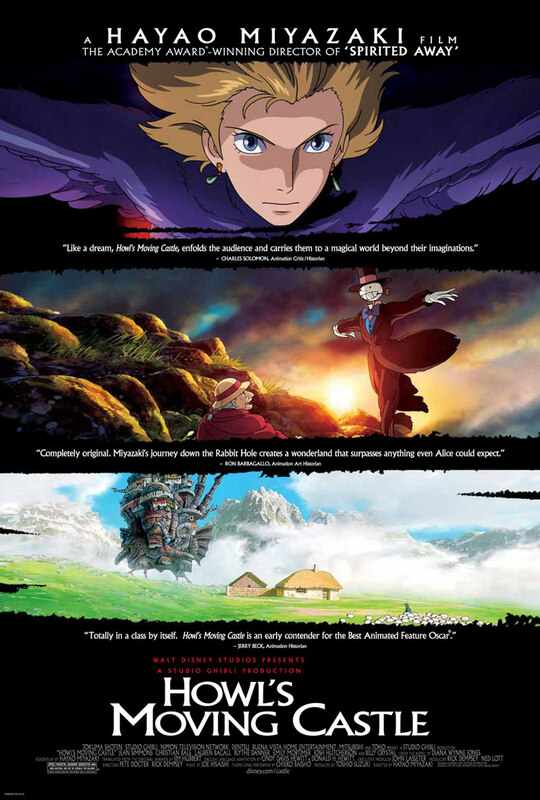 Critical praise of the movie, however, were mixed as many felt the film wasn’t true to the source material (including Le Guin) and that it was one of Ghibli’s weaker products. Following Tales from Earthsea, Hayao Miyazaki would shut down the CG department of Studio Ghibli. While already having an informal mandate that no more than 10% of a Ghibli film’s content involve CGI, Miyazaki felt drawing to facilitate adding CG effects later was inherently wrong (limiting the vision of animators). 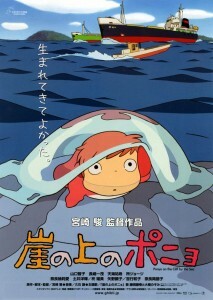 So, their next film in Ponyo would be composed entirely with hand drawn animation. In fact, Miyazaki became so enamored with the water effects of the film, he was inspired to animate parts of it himself. Inspired by Hans Christian Andersen’s “The Little Mermaid,” Ponyo told the story a fish-girl who fell in love with a human boy and wished to become a human girl (and the chaos such a desire created). To promote the film, John Lasseter (chief executive officer of Pixar), a friend of Miyazaki’s, managed to convince the Japanese director to come to the United States for an interview in front of a live audience (ending the six year boycott). The film would be another huge success for Ghibli, earning the Japan Academy Prize for Animation of the Year and opened in the United States at number nine in box office revenue. 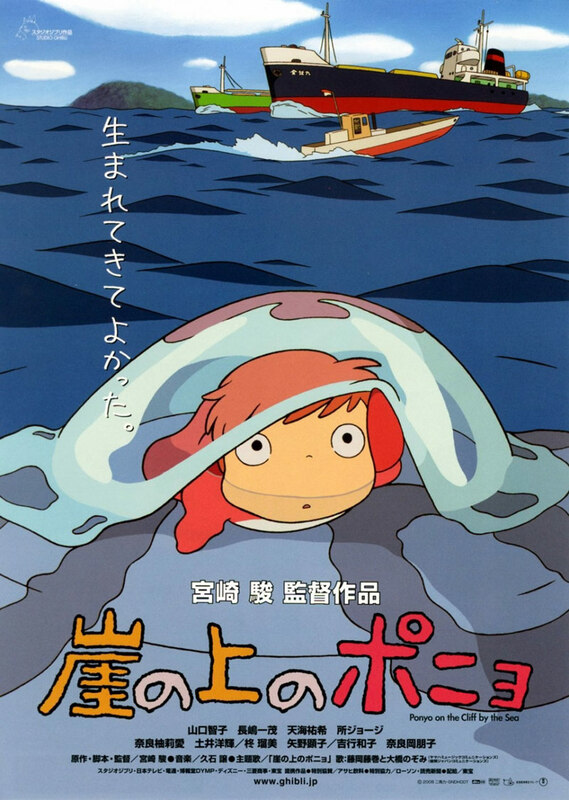 The same year Ponyo was released, Toshio Suzuki would step down as the studio’s president (becoming instead the company’s managing director to become more involved again with the films). Former president of Walt Disney Japan Koji Hoshino, who had helped expand Ghibli’s reach since 1996, would replace Suzuki. Ghibli’s next film would be even bigger than Ponyo. Around the time the pair were collaborating together on various projects circa the end of their time at Toei, Hayao Miyazaki and Isao Takahata had a desire to adapt Mary Norton’s novel The Borrowers. Ghibli would finally get that opportunity in 2009. 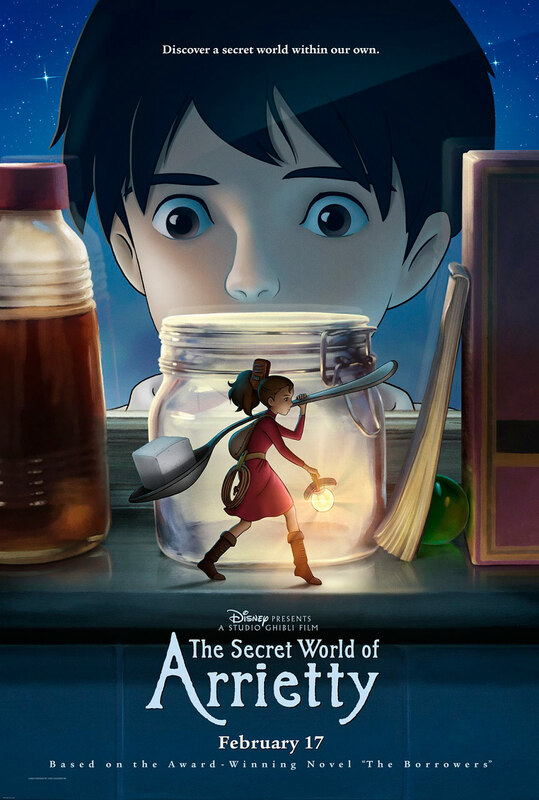 Arrietty told the tale of a Borrower, or a miniature humanoid who lives in the walls of the home of people, who is discovered by the young man living in the house which led to the creatures being exposed to others in the household. The piece was directed by first time director Hiromasa Yonebayashi (becoming the studio’s youngest director) who worked as an animator at various places before finding a home at Ghibli. Arrietty would become the highest grossing Japanese film of 2010, won the Japan Academy Prize for Animation of the Year, and was released in movie theaters in the United States to become the fourth highest grossing anime film in US history (the highest grossing anime not based on Pokémon or Yu-Gi-Oh!). Ghibli’s next film would be Goro Miyazaki’s second film to direct. 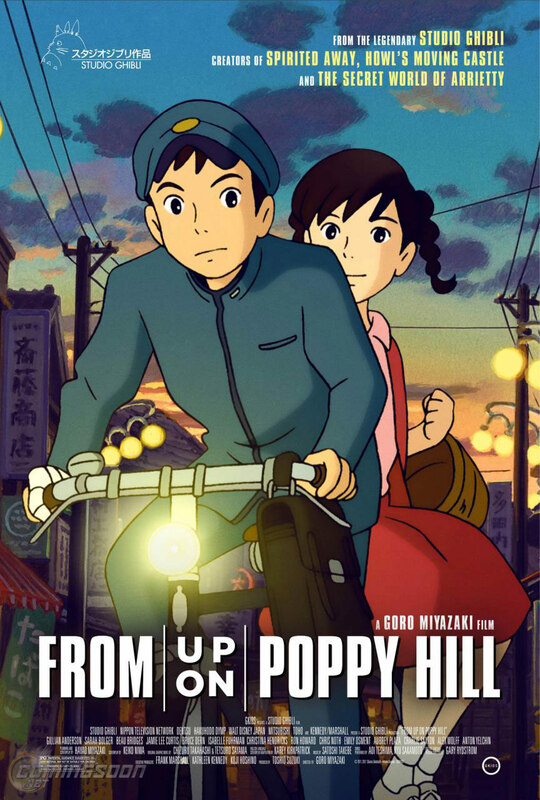 From Up on Poppy Hill, based on the manga of the same name by Chizuru Takahashi and Tetsuro Sayama, told the story of a young girl who falls in love with a boy she later learns maybe her half-brother while trying to save a school building from being demolished. Production of the film was affected by the 2011 Tohoku earthquake/tsunami (and subsequent Fukushima Daiichi nuclear disaster) which generated rolling blackouts forcing Ghibli to continue work at night in order to remain on schedule. The film would be released to moderate success (beat out at box office in Japan by Harry Potter and Pokémon) and was viewed mostly positive by viewers earning the Japan Academy Prize in Animation of the Year. Ghibli’s next project would be something the company had not attempted in twenty five years: produce two films simultaneously to be released together. 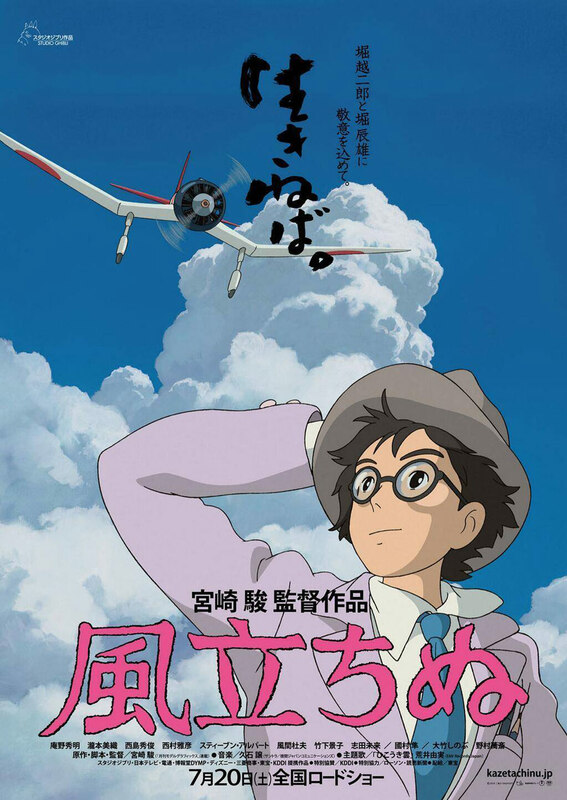 In 2009, Hayao Miyazaki would produce a manga mini-series called Kaze Tachinu (The Wind Rises), a fictionalized account of the life of aviation engineer Jiro Horikoshi based on a short story by Tatsuo Hori. In 2013, this series was adapted into a feature film of the same name by Studio Ghibli. In the story, young Jiro Horikoshi dreamed of airplanes and dedicated himself towards building them. Along the way, he met and fell in love with Naoko, tragically afflicted with tuberculosis. In time, Jiro’s work would be used to make instruments of war, corrupting his dream and filling the man with regret. The film would cause a great stir in Japan. Conservatives in the country in the Liberal Democratic Party (LDP) have pushed to amend the pacifist constitution which outlaws Japan’s ability to declare war to settle international disputes (an effort led by Prime Minister Shinzo Abe). The Right observed Miyazaki’s film as detrimental to their cause by depicting Jiro’s regret at producing fighter planes. Miyazaki would also feel pressure from liberals in the Democratic Party of Japan (DPJ) for even producing a film that prominently depicts a man who built war machines and employed slave labor from countries like China and Korea to create planes that killed their own people. Despite this, the film did remarkably well at box office, vastly outperforming Ghibli’s previous release and was comparable to Arrietty despite only limited release in America (wide release in the United States will not be until February of next year). Recently, it was announced Miyazaki plans to retire from directing (adding that he’s quite serious this time) and that The Wind Rises was the last film he would direct. Originally, another Ghibli film was intended to accompany The Wind Rises based on the Japanese folktale The Tale of the Bamboo Cutter. In 1988, Studio Ghibli would release two films on a double bill in My Neighbor Totoro and Grave of the Fireflies. The former a magical tale by Hayao Miyazaki and the latter a tragic story of World War II by Isao Takahata, it seemed a similar idea was intended for 2013. Only, Miyazaki was hard at work producing a tragic film involving World War II and Takahata a fable. 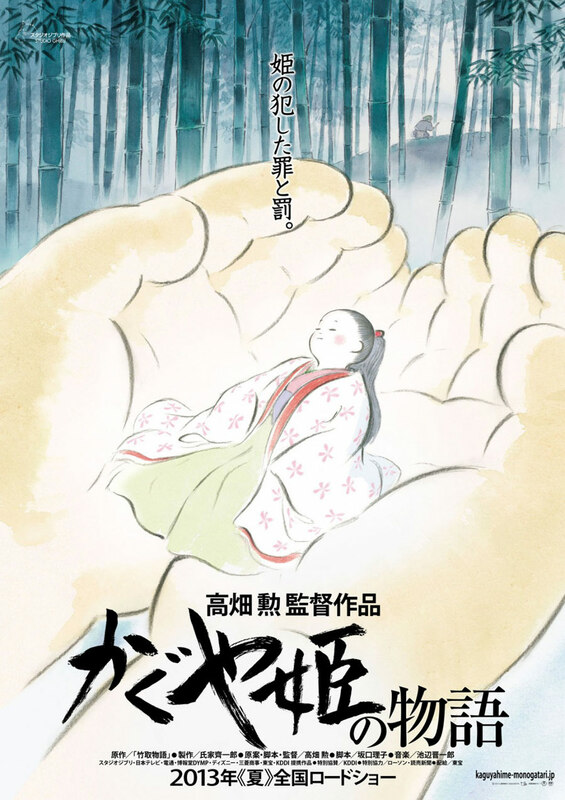 The Story of Princess Kaguya is Takahata’s return to directing after fourteen years (his last film My Neighbors the Yamadas) and is based on the legend of The Tale of the Bamboo Cutter. In that Japanese folktale, a bamboo cutter discovers an miniature infant in a stalk of bamboo he cut. The man’s wife unable to have children, the babe is adopted and grows up to become a beautiful woman. Along the way, the bamboo cutter would find gold in all the bamboo he cut making him very rich. In time, princes and even the Emperor of Japan sought to make the woman, named Princess Kaguya, their wife only for her to reveal herself a resident of the moon exiled to Earth and who is summoned to return. Unfortunately, the film would be delayed until November 2013 because storyboarding was not completed in time. In the meantime, Ghibli is preparing for its next film. Written by Hayao Miyazaki and the company’s first true sequel, Porco Rosso: The Last Sortie is being directed by Hiromasa Yonebayashi (director of Arrietty) and will feature an aged Porco (reflecting Miyazaki’s advancing in years) and the Spanish Civil War.